Basaltic lava flows that have a ropy surface are called Pahoehoe. 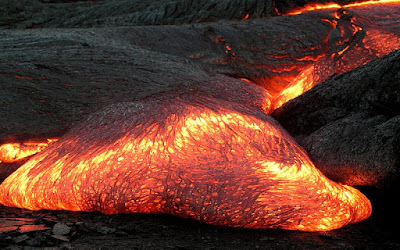 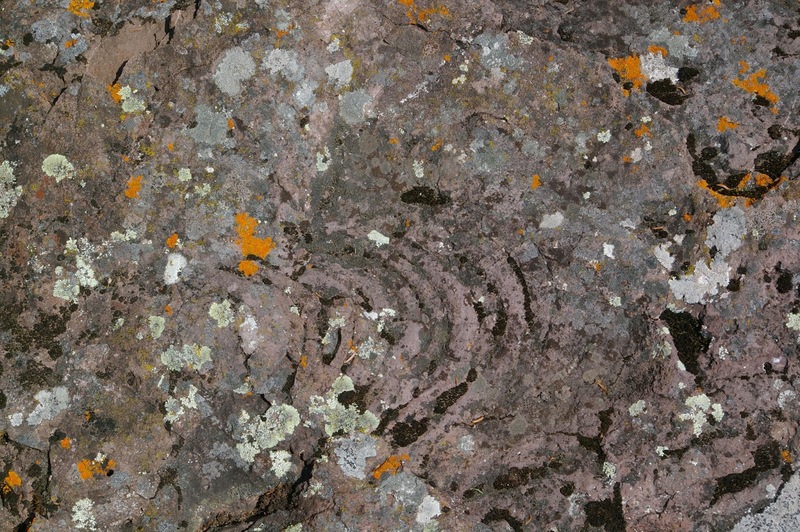 The ropy structure forms as the fluid lava continues to flow underneath a hardening crust. These lava flows are common on the big island of Hawaii today. 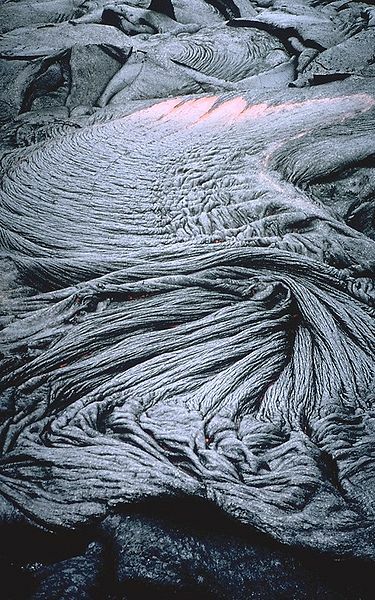 Hawaiian pahoehoe images courtesy of Wikimedia Commons. 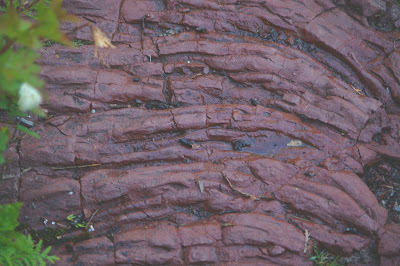 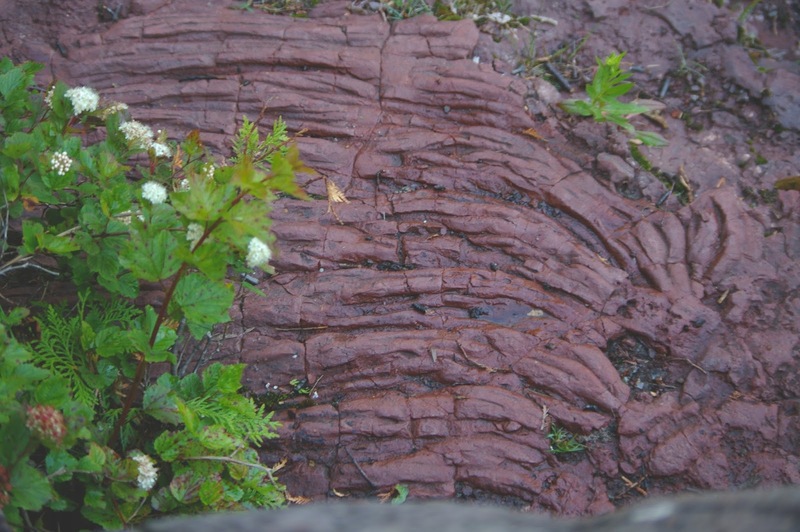 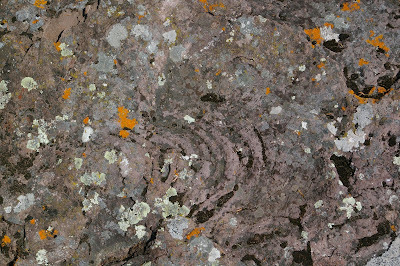 Because of the 1,100 million year old Mid-Continent Rift system, which resulted several hundred individual lava flows on Minnesota's North Shore, there are several locations of pahoehoe lava flows easily accessible. 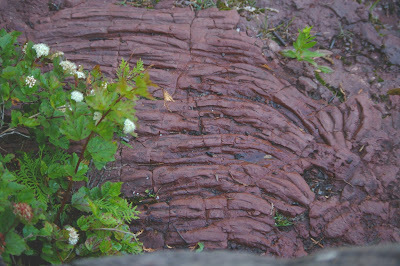 One location is just below the footbridge that spans the Temperance River at the Temperance River State Park (http://www.dnr.state.mn.us/state_parks/temperance_river/index.html). 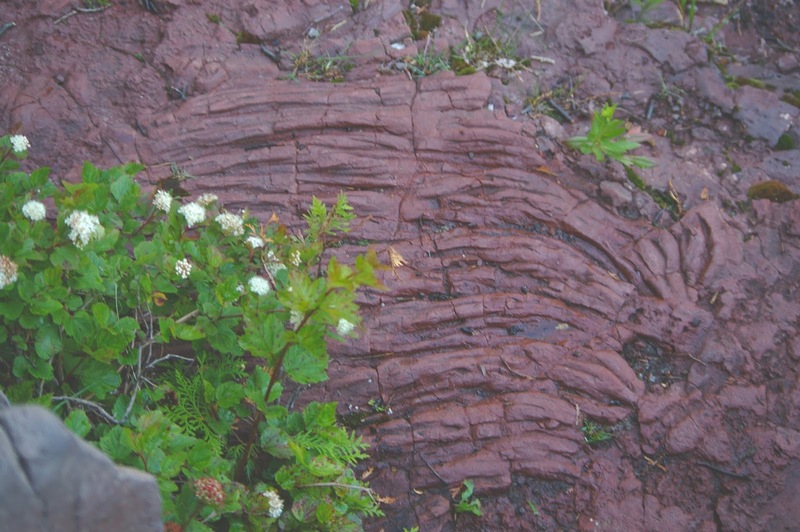 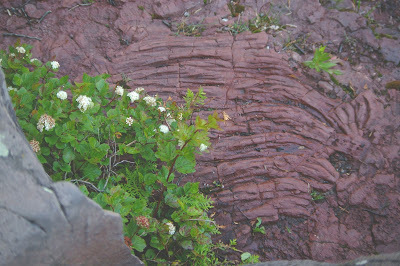 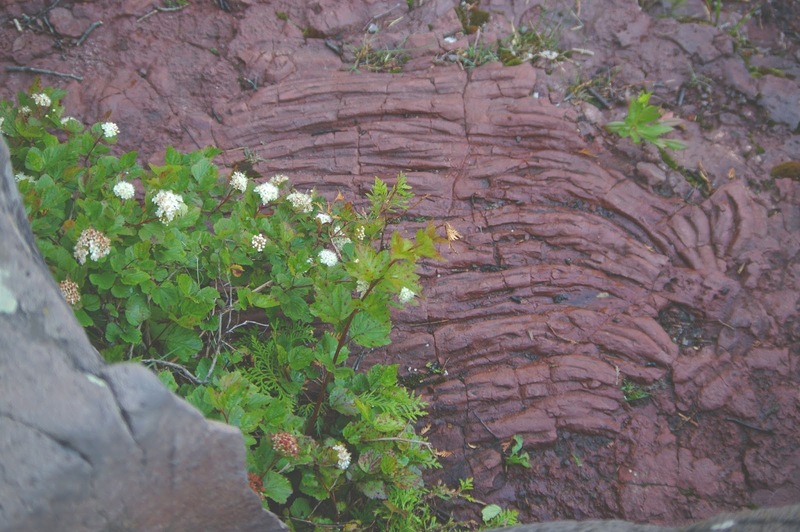 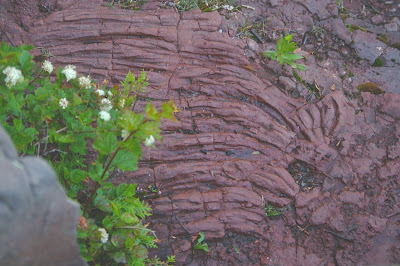 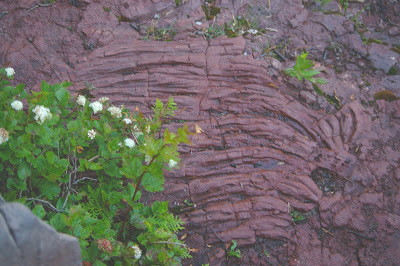 The basalt here has turned red due to the oxidation of iron within the basalt. 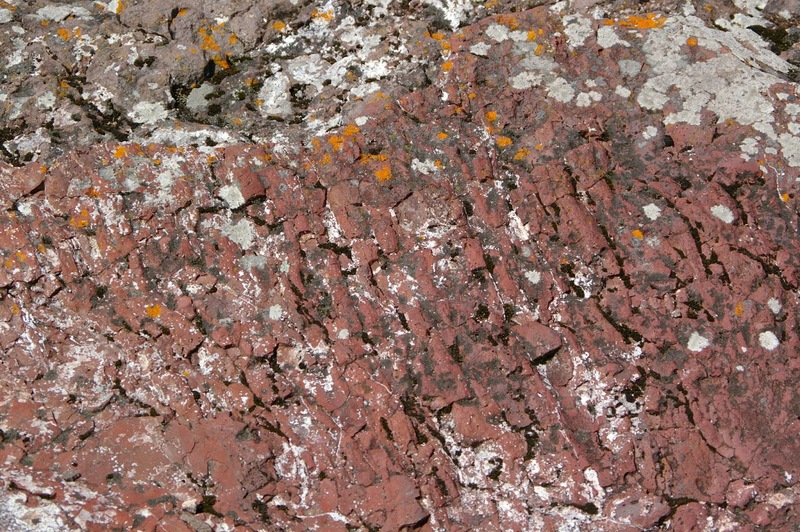 Unfortunately I did not have a scale card or even the idea of using an object for a sense of scale. 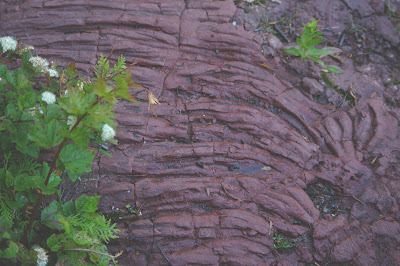 Another location with ropy, pahoehoe lava flows is found at Sugarloaf Cove (http://www.sugarloafnorthshore.org/). These are not as extensive or large as those found at the Temperance River and are much more lichen covered.